I do a fair bit of culinary history, but I’m primarily a food historian. In case you’re not sure what the difference is, a culinary historian studies the origin or development of recipes or dishes, while a food historian studies ingredients. The two areas of study are closely related, and one often strays into the other, but I tend to focus on tracking down things like where chickens came from or what it took to get pepper onto the tables of the world. If you’ve read my blog for a while, you also know that I love the whole travel-food-culture connection, as well. I suspect there’s a bit of that in everyone who does either food or culinary history — because food is so tied into our humanity and our history. We all eat. We all want to eat well. Fortunately, I’m far from being alone in this area of interest. There are a lot of people doing fascinating research in a tremendous range of both recipes and ingredients. One place you can read excellent articles by some of these folks is at The History Kitchen. 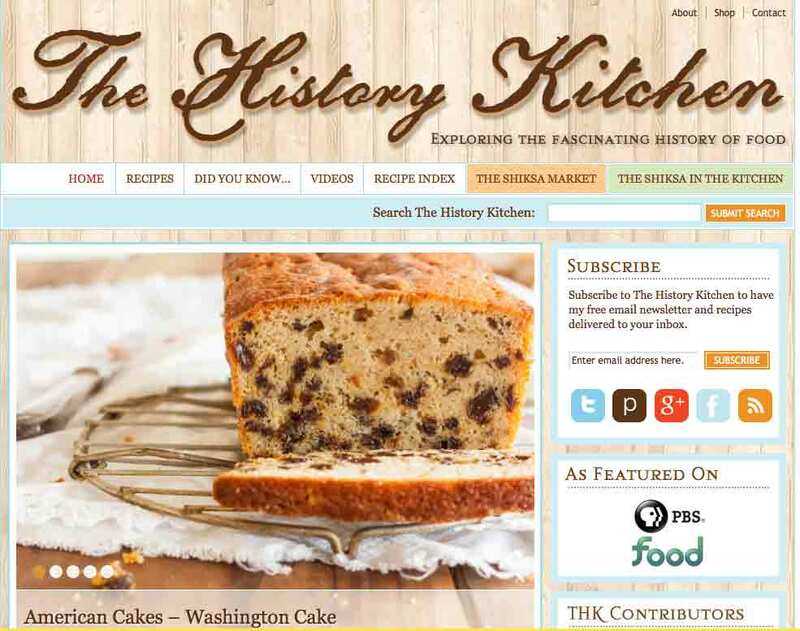 This site combines the efforts of a number of historians, and it’s more focused on culinary history — so some dandy recipes, as well as fun history. Of course, I hope you’ll come back here, for travel tales and stories about ingredients, but I do think it’s fun that you can also learn about everything from what soldiers ate during the Civil War to a cocktail Hemingway drank to a cake Andy Griffith liked.